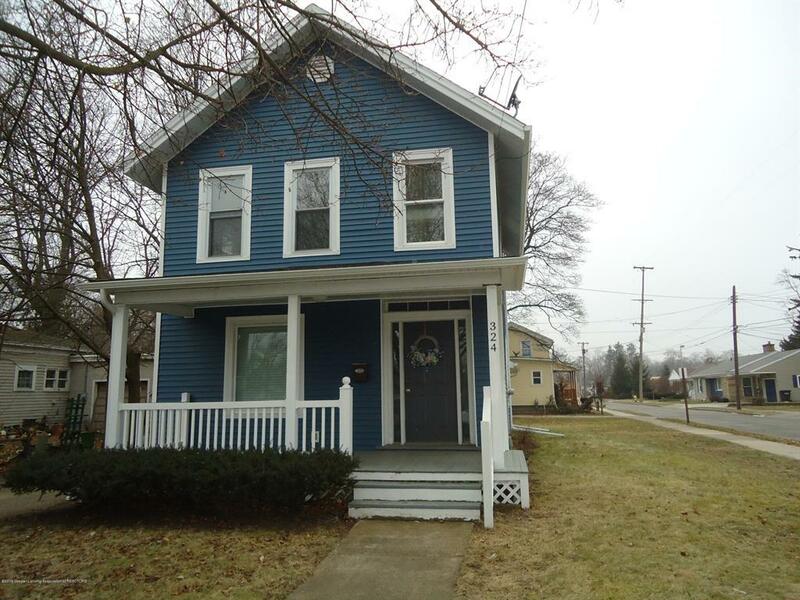 Welcome to 324 Horatio St., located on a large corner lot. This cute 3 bedroom, 2 bath home has many recent updates. Fresh paint, newer windows, roof and many more items. The laundry is conveniently located on the first floor. You can enjoy the front porch in the summer and grill out on the deck which is located right off the kitchen. There is a one car detached garage with cement driveway and another cement parking area too. Conveniently located near downtown Charlotte shopping and restaurants. IDX provided courtesy of Realcomp II Ltd., via Weichert, Realtors- Emerald Properties and Greater Lansing AOR MLS, ©2019 Realcomp II Ltd. Shareholders.